Founder and CEO John Laramie brought his team together last summer under the mentoring of David Cohen’s TechStars program in Boulder, Colorado, to build the entire system in just three months. After a year in the game, we interviewed Laramie about what it takes to run a startup in New York City. This winter, Adstruc released a campaign titled Billboards for Everyone. The first billboard, which depicted a play on the immigration policy and is aptly displayed in Arizona, was designed by Shepard Fairey’s creative agency Studio Number One. Each month, Adstruc puts out a creative brief to host a similar project in various states. 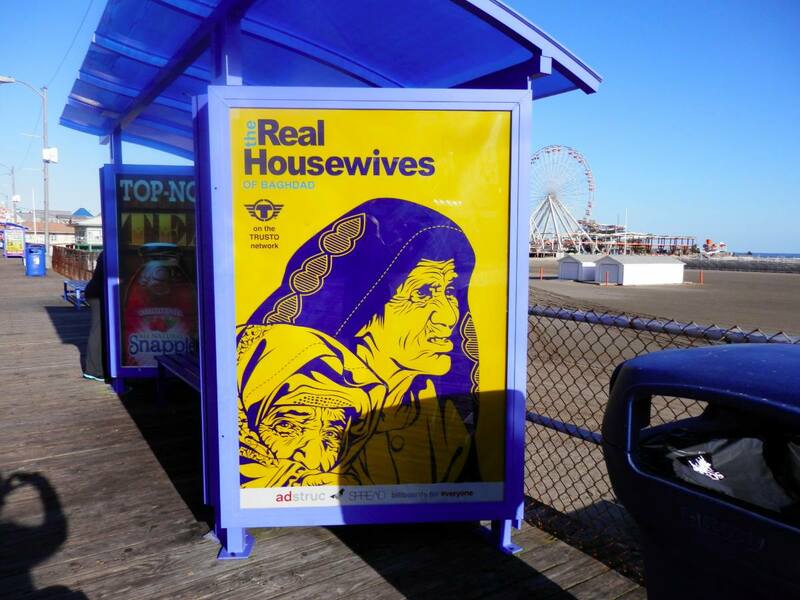 The latest installment is now live on the Wildwood Boardwalk in New Jersey. For this run, ADstruc teamed up with Visions Outdoor Advertising, BA Reps, JWT New York, and Trustocorp, the anonymous New York based artist whose mission is ‘to highlight the hilarity of human behavior through sarcasm and satire’. Check out the Somali Shore advert below and the The Real Housewives of Baghdad in the featured image on top. Laramie said, “Our Billboards for Everyone campaign is all about enabling artists to express their creative freedoms in unique locations. This campaign is no different. Simply, today’s culture obsesses over fabricated television drama and we wanted this campaign to drive awareness about real drama that is happening overseas, of which, we can all help. Read next: Twitter visualizes every Tweet mentioning " 11:11 on 11.11.11"